Someone Lifestyle Services is your personal concierge and lifestyle management service. Your Someone Lifestyle Services personal concierge is here to help you maintain your work life balance. Whether you need time to attend to your business, career or family, a personal concierge will assist your by doing those things you don't have time to do, don't know how to do, or just don't want to do! We are your personal concierge service, here to help with virtually anything! Why do you need a personal concierge service? These days everyone tries to maintain their work and home life balance. But busy people have a busy lifestyle, so work commitments, errands, family responsibilites, and other time consuming tasks seem endless. The result is that you finish up rushed, stressed, and just wishing that there was someone who could help! From running errands, planning a child's party, being there for tradesmen, or tackling a trip to Ikea, your personal concierge is ready, willing and able to free your time so you can do what you really want to do. Based in Sydney Australia, with national and international networks, Someone Lifestyle Services offers personal concierge and lifestyle management services to help you balance your busy work and family life. 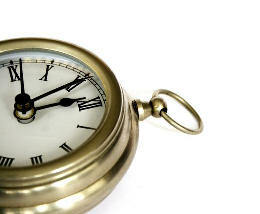 We recognise that time is your most precious commodity, and should not be wasted. Someone Lifestyle Services is proud to be an Executive Member of the Institute of Concierge And Lifestyle Managers (iCALM) and a Member of the International Concierge and Lifestyle Management Association (ICLMA). These are the leading local and global professional personal concierge associations, and as member we are dedicated to upholding their high standards of professional behaviour, discretion and integrity.